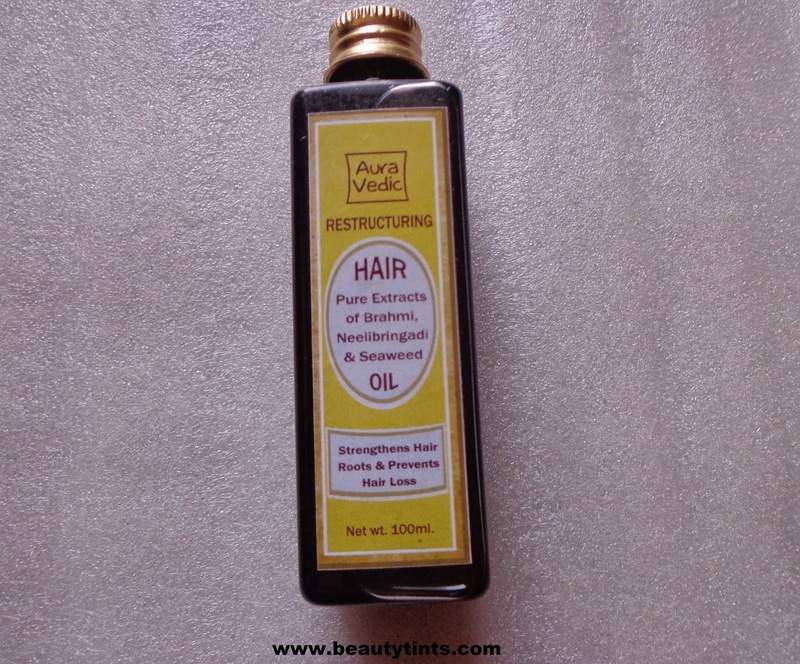 Today I am reviewing Auravedic Restructuring Hair Oil enriched with pure extracts of Brahmi,Neelibringadi & seaweed oil.This oil claims of Strengthening the hair roots and prevents hair loss. 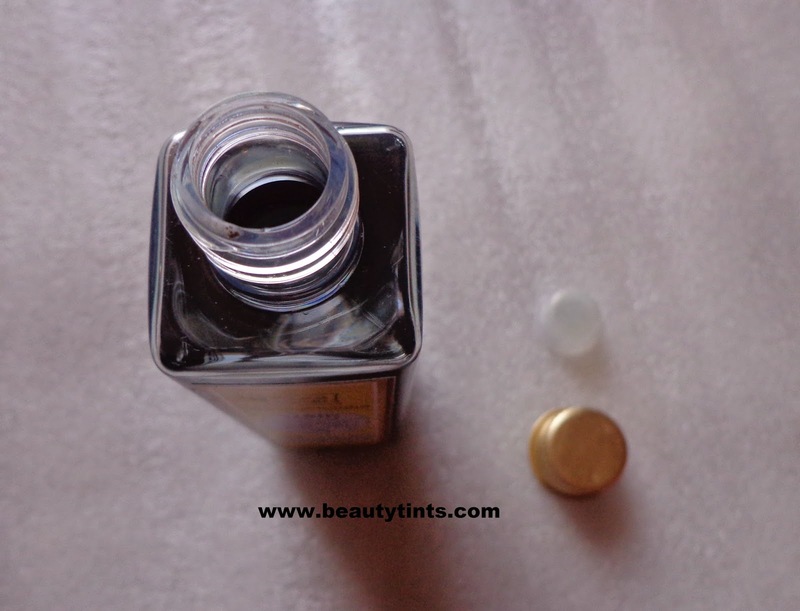 Color and Texture : This is a dark blue colored oil. Neelibringadi Coconut Oil is one of the most famous Ayurvedic hair oils used for treating various problems related to hair growth, containing Bhringaraj (King of the Hair), Amla, Neeli for calming & cooling the scalp, preventing hair loss and pre-mature greying. 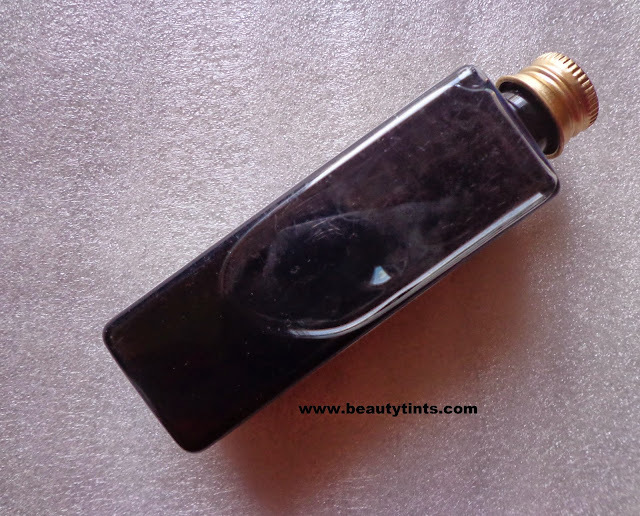 Directions : Massage the Oil into your head, starting from the sides and working towards the top. Work your way toward the front and back of the head. Gently massage the whole head with your thumbs and fingers. Key Ingredients :Neeli swarasa – Decoction of Indigofera tinctorea, Bhringaraja swarasa – Decoction of Eclipta alba, Shatakratulata – Cardiospermum helicacabum, Amla – Emblica officinalis, Aja ksheera – Goat milk, Nalikera Ksheera – Coconut, Mahishiksheera – Buffalo milk, Ksheera – Cow Milk, Narikela thailam - Cocos nucifera, Yashti – Licorice – Glycyrrhiza glabra, Gunjamoola – Root of Abrus precatorius, Anjana – Aqueous extract of berberis aristata. 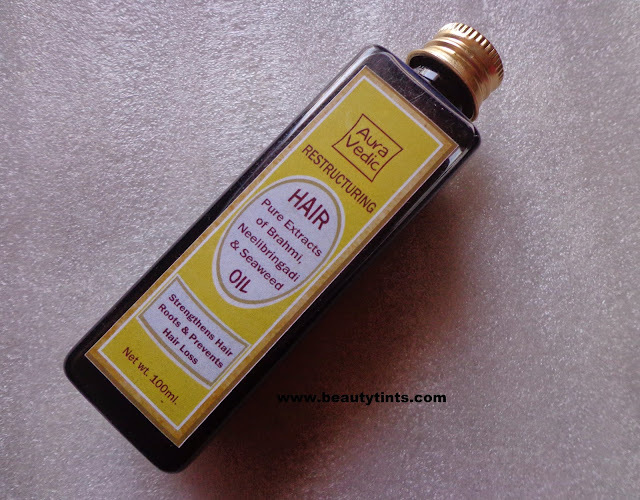 My View On the Product : This is a very light weight oil which is not at all greasy or heavy on the hair.It does not weigh down and suits the oily hair well.It is moisturizing enough for the dry ends.It is dark blue colored oil which has a mild herbal fragrance.After application,it does not feel heavy or sticky on the hair.I have been using this oil from a while for now and I am completely impressed with the product as it controlled my hair fall to a great extent and it also gave a nice shine to the hair. 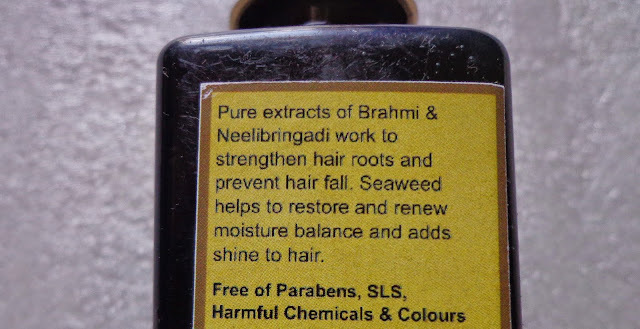 This oil is enriched with the goodness of Neelibrigandi,Licorice,Bhringaraj,Amla extract,Grapefruit,Jojoba oil,Brahmi,tulsi etc.,This is made of all natural ingredients and is free from parabens and other harmful ingredients,This can be applied daily as it is very light on hair as well as it gets rinsed off easily without leaving any residue or greasy film behind.It is all worth for the price. Final Conclusion about Aura Vedic Restructuring Hair Oil : Overall a good organic hair oil which helps in reducing hair fall to a great extent as well as gives good strength to the hair roots upon continuous usage.